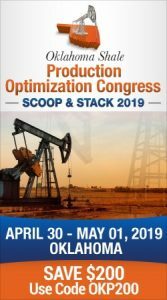 Weekly Rig Count Grows in Oklahoma and Across the U.S.
Tulsa-based Empire Petroleum Corporation has announced a deal where it is making a nearly $18 million purchase of half of a newly-formed venture that includes oil and gas properties in the Texas Panhandle. The deal is with Masterson West, LLC, a Tulsa firm that created a new entity called Masterson West II, LLC. 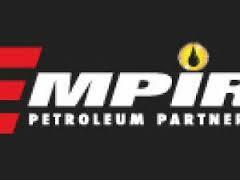 Empire contributed 40,000,000 shares of its common stock to MWII and at the final closing, Masterson West has an obligation to contribute certain operated oil and gas properties to MWII in exchange for Empire kicking in between $9 million and $18 million to MWII. The oil and gas properties are located in Moore and Potter Counties in the Texas Panhandle and the wells to be included in the transaction primarily target the Red Cave formation. Tulsa-based Masterson West and related entity, Adams Affiliates Inc., have owned and operated the properties for over 20 years. The properties are producing nearly 1,000 barrels of oil per day equivalent and include nearly 8,000 acres of leasehold. Under the agreement, Adams Affiliates, Inc. will continue operating the properties. Empire has identified nearly 380 locations for drilling opportunity and claims its total drilling and completion costs could be $250,000 per well. As part of the deal, Gary Adams of Masterson West will become Chairman of the board of Directors and CEO at Empire. Garry Smith, also of Masterson West will become Chief Financial Officer.